Manchester United star Antonio Valencia will “definitely” depart from Old Trafford in the summer transfer window when his deal at the club expires, according to the full-back’s father. Luis Valencia told a Mexican outlet El Universo (h/t Sport Witness) that the 33-year-old star could stay in the English top flight, with Unai Emery’s Arsenal one of several possible destinations for the veteran. “He definitely will not continue in Manchester,” Luis said. The Red Devils appear prepared to allow Valencia to depart on a free after ten years with the club. Manchester United had the option to activate a one-year extension on his current contract but that deadline has passed, according to BBC Sport. 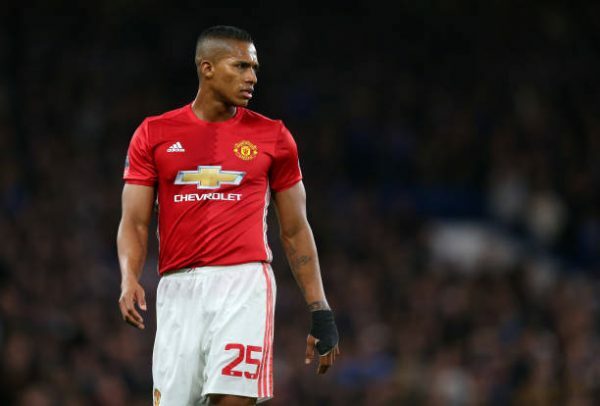 Antonio Valencia has been an essential player for the club but poor injuries and form have restricted the player to just eight matches all season and only one in 2019. Ole has opted to use England international Ashley Young at right-back, with 19-year-old Portuguese defender Diogo Dalot also having featured and impressed in his first campaign with the club. Antonio has been an excellent acquisition for Manchester United since signing for the club in 2009 from the English side Wigan Athletic for an undisclosed sum, thought to be in the region of £16 million. He started off as a wide man before dropping into defence and has won two EPL titles, League Cup, FA Cup and the UEFA Europa League with Manchester United.